Whether your wrist pain is from a long-term problem like osteoarthritis or a traumatic injury, Dr. Peterson can help. Dr. Peterson has experience working with wrists to help stabilize them and minimize pain. 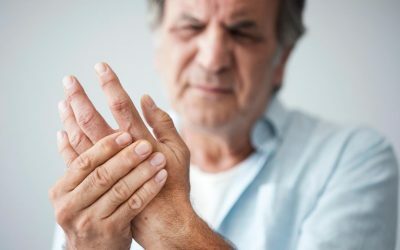 Dr. Peterson is an expert in diagnosis and treatment of hand pain.. With a proper diagnosis, he’ll be able to direct you through a treatment plan specifically tailored to fit your needs. Fingers have numerous different joints, making them easily susceptible to pain and injury. Dr. Peterson has had specialized training in dealing with finger conditions. Dr. Peterson, attended the University of Toledo Medical School and completed his orthopedic surgery residency in Ohio. While there, he was given the Orthopedic Student of the Year award, along with medical school academic honors. He went on complete his Hand and Upper Extremity fellowship at the University of New Mexico. His research there focused on optimal techniques for wrist reconstruction, while he honed his microsurgical techniques in the operating room. While he excels in his medical endeavors, he also keeps in touch with the community by volunteering his free time to many community and church organizations. Dr. Peterson was born and raised in Holladay, Utah and completed his undergraduate education at the University of Utah. He is fluent in Italian and enjoys traveling and spending time with his family. He resides in North Logan with his wife and three children. He enjoys working with patients of all ages in restoring a healthy and fulfilling quality of life, understanding that our hands are a crucial part of how we interact with the world around us. Elbows get used frequently, leading to overuse injuries.. Most elbow pain is from overuse because of hobbies, sports, or jobs that require repetitive motion. Dr. Peterson can help properly diagnose and treat conditions of the elbow. More than 30 million people in the U.S. suffer from arthritis. 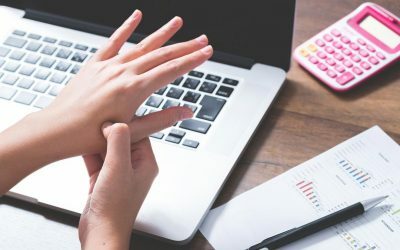 Achy hands can make it impossible to function and perform all of your necessary daily tasks. Dr. Peterson’s goal is to relieve pain and restore function through rest, therapy, or in some cases, surgery. We use our hands for everything we do, so it’s no wonder they frequently get injured the most. From breaks and fractures, to sprains and strains, Dr. Peterson can help. It is unbelievable to think that I am pain-free after all those years. By the time I was 22, my left hip was filled with arthritis. Sports were out of the question, even simple things like jogging and golfing. In the meantime, I put up with the pain and led a boring lifestyle. Eventually my right hip, which I favored because my left hip was so bad, began hurting too. I finally made an appointment with a Stryker orthopaedic specialist. It’s been 15 months since my two total hip replacements, and my life has improved tremendously. I no longer take painkillers. I’m able to do more things. I play golf. I walk more. I recently started horseback riding. And the best thing is, I’m pain-free. I decided it was time when my daughter started to walk, and I couldn’t play with her. I was diagnosed with degenerative osteoarthritis about 14 years ago. I couldn’t walk far. I couldn’t climb steps very well. I certainly couldn’t ride a bike. You name a daily activity you take for granted, I couldn’t do it. Finally, the pain got so bad, I decided to have my hips replaced when my daughter started to walk, and I couldn’t play with her. I couldn’t even pick her up. So I had both hips replaced within a week of each other. If you’re thinking about hip replacement, find a good surgeon, educate yourself, and make your own decision. You’ll know when it’s the right time. It was the best thing I’ve ever done. I’m a nurse working 12-hour shifts, and I’m on my feet constantly. I developed pain in my right hip, so I started taking medication. But it wasn’t getting better. The pain was so bad that even routine things like getting out of bed, going to work, and buying groceries were difficult. My doctor said I had arthritis that destroyed my hip. We decided there was no other option: I had to have my hip replaced. He gave me information about the new ceramic technology from Stryker. After reading it, I was even more willing to have the surgery. And it was the best thing I’ve ever done. My life is back to normal. I don’t even remember the pain anymore, which is wonderful. When you no longer get enjoyment out of most anything, it’s pretty much time. I played ice hockey for Women’s Team USA for six years, and was involved in competitive sports for 24 years. My pain started in the lower back, then after a little bit of discovery, my hips were identified as the source. The process of deciding to have my hip replaced is one I now look back on and feel pretty comfortable with. I did quite a bit of research. You know, finding the right doctor. Finding the right hospital and care. Also being proactive and having your care thought through both before and after your surgery seemed to be an advantage. And picking the right parts. I felt very confident going with the Stryker ceramic-on-ceramic hip because of its long term benefits, its wear benefits, and also its function. I am truly thankful to have my life back. My doctor, the technology — they gave me the freedom to be myself again. My hip pain was undiagnosed for awhile. I was in pain no matter what I did. I have three children who are active in sports year-round — which means I need to stay active, too. Just a day on my feet was exhausting, but what was worse was the inability to sleep. Ultimately, the pain became so great, no kind of painkiller could help. So, I interviewed a number of surgeons until I found my Stryker orthopaedic specialist, who had done hundreds of these surgeries. As soon as I woke up, I knew I made the right decision. It really was instantaneous that the pain relief was so significant. My doctor, the technology, the experience — they were all integral to making a good decision. It’s made a big difference in my life, and to the people around me as well. There’s a point where your life just becomes miserable if you don’t get it replaced. I shouldn’t have waited … I feel 20 years younger. I’m a nurse and I’m on my feet 10 hours a day. Fifteen years ago, I had arthroscopic surgery on my knee. Arthritis set in, the joint deteriorated, and the pain grew worse. Coming home to elevate and ice my leg was more important than sitting at dinner with my family. I felt like an old woman. My doctor recommended total knee replacement, but I was afraid. Then I heard about minimally invasive surgery, and I decided to go for it. I was amazed that everything went so fast. I had such a quick recovery. My therapist said I was too fast for a walker — the day after surgery! Nine days later, I walked into my doctor’s office without even a cane. Stryker total knee replacement has totally improved my quality of life. I would say my quality of life is now 200%, versus 25% before the surgery. I’m a mother of five. Grandmother of two. I have an active life, which has gotten even better since I had my knee replacement. Before the surgery, my activity was very limited. I was in severe pain for a good two years before I came to the conclusion a total knee replacement was the only way to go. My bicycle riding came to an end, my bowling, even cleaning around the house and playing with the children or dancing with my grandchildren. But now, oh wow! The pain factor is gone. I’m looking younger, I’m feeling younger, and I’ve lost a total of 71 pounds because I’m much more mobile. I can scrub floors, I can climb a stepladder, I can bend and stoop, I can get in and out of the car. What can’t I do? This is a quality of life procedure. It’s gonna get you out of bed, keep you off the crutches, and out of the wheelchair.